360° Quick Connect Coupler QCC-HT3 is Perfect for Lubricating Grease Fittings with Limited Access. Coupler Swivels in 360° Circles and can be Locked at 45° Intervals. No Threads, No Screwing, Just Snap the Coupler onto any Standard Coupler and Use. 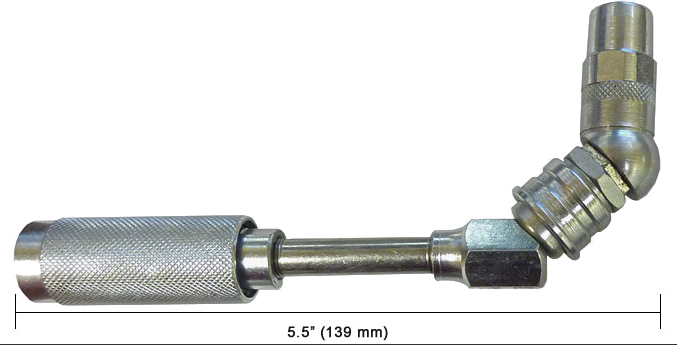 Coupler Length: 5.5" (139 mm). Made of Zinc Plated Carbon Steel.